Pho comes from Nam dinh, That is authentic pho. 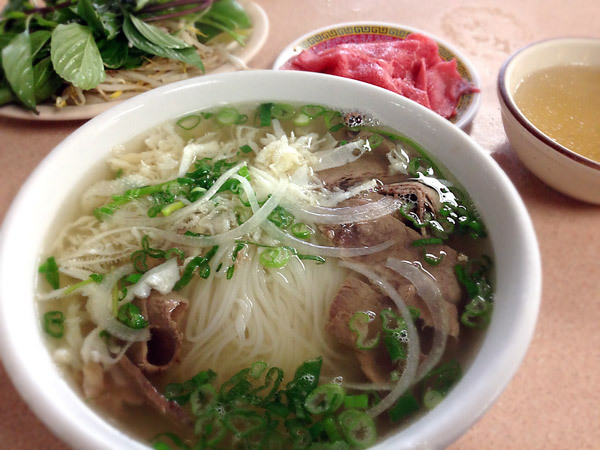 Southern style pho is just imitation of northern style but with use of more sugar and other ingredients to fit their taste since they do not have traditional recipe. However not many foreigners know but authentic Pho is considered as “Pho Nam Dinh” and it is widely popular in Vietnam but really hard to find a restaurant with old traditional recipe. 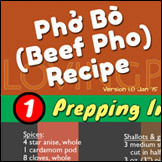 Although Pho is going to different direction but real authentic Pho is only Pho Nam Dinh. However i have not seen traditional pho in North America. Southern style beef pho with rare beef own the side. It's not clear if Adam is a Vietnamese or a Westerner. Regardless, he seems have a bone to pick and have strong views about Pho Nam Dinh and what constitutes authentic pho. I thought I'd share my reply to Adam's comments. I hope you find this an interesting topic. Thanks Adam for leaving a comment about your views of Pho Nam Dinh and authentic pho. @Adam: You’re correct about where pho came from, but is it really “widely” popular in Vietnam? Do you have statistics to show this claim? Or maybe it’s based on a few pho shops that you went to in Hanoi, or maybe even in Saigon? If so then that explains it. An analogy is, if you go to the American South, then of course you’d see fried chicken everywhere. 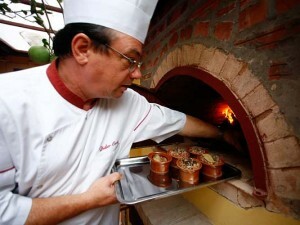 But that doesn’t mean it’s widely popular everywhere to the extent and scope you implied for Northern pho in VN. My mother left North VN in 1954 to Saigon. I’m pretty sure she never made pho before 1954; because people just didn't make pho at home. Between 1954 and 1975 (when we left Saigon to the U.S.), I don’t remember she made pho once in Saigon. Once in the U.S., she started to make pho at home for a few years because there were not yet pho restaurants in the U.S. at the time. 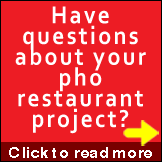 But by late 1970’s and early 1980’s, many pho restaurants began to open, and she no longer made pho at home except on rare occasions with large gatherings of family and friends. And when she did make pho at home, what do you think she made? 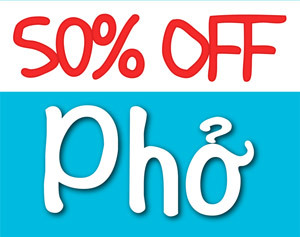 Yep, pho as most Southern people know it. I’m not a fan of spending too much time on the authenticity of pho. Like all Vietnamese, I know what pho should be, so what's there to discuss? It’s like making an argument about where the real authentic hamburger actually came from, or pinpointing where sushi or pizza really originated. The fact is, like many cultural identities and characteristics of different people, race and country, pho has always evolved over time, so authenticity becomes a moot point. For simplicity’s sake without getting to academic level of discussion, the real test may just be: what does Vietnamese people consider pho and where that person came from. Your comment about pork is 100% incorrect. 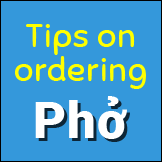 To a Vietnamese, North or South or wherever, pho does not have pork; neither in the broth nor the toppings. Of course you can always find someone who will say pho can have pork or fish or crab or duck or quail or whatever else they want to throw in there. But then you’re stepping on the ground of fusion foods and that means anything goes really and it’s not a discussion about pho anymore. So what's the bottom line? Well in a way, this is what a food or dish runs into when it becomes too popular. It will garner lots of view points and theories of where it came from and what it should be. 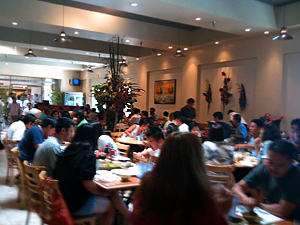 Within the Vietnamese community (in Vietnam or in North America, or wherever) pho is pho, and if a restaurant serves great pho then it will attract a large and knowledgeable clientele. But if it serves mediocre pho ("authentic" or not) then it will stay empty. For many non-Viet people, and a lot of Viet people too, who are more familiar with Southern style pho (because of pho's history - see The History and Evolution of Pho: A Hundred Years' Journey), they may not like Northern pho (phở Bắc) and may take some getting used to. Personally I love either pho style depending on my mood, where I'm at when the craving starts up, and what I can find nearby. It's as simple as that.